Has the US military conducted experiments in time travel and invisibility? Magician David Fox explores unusual phenomena. The military continues to be a popular target for contemporary conspiracy theorists and sensationalists alike. There has been a seemingly incessant stream of intriguing tales involving UFOs, alien abductions, top secret new weapons (which defy the laws of physics), and mysterious clandestine operations since the genesis of the Cold War. Such incredible accounts of the bizarre have doubtlessly been fuelled by the insatiable public appetite for the weird and the wonderful. Popular literature and films focusing on potential military cover-ups have become intrinsically ingrained within the twenty first century mind-set. Indeed, one could argue that most rationally minded citizens readily accept the notion nowadays that governments and military institutions continue to deliberately conceal potentially disturbing information from the masses. Typical science fiction themes such as time travel and extra-terrestrials were part of the post-war zeitgeist. One such example of this is the ‘Philidelphia Experiment’ which is said to have taken place in October 1943 in the city’s naval docklands. At this period of the second world war, the Allied powers were desperately seeking to reduce colossal Atlantic shipping losses due to the deadly and ubiquitous threat of German U-Boats. British and American scientists frantically sought to provide effective solutions to utilise radar and new state-of-the-art technologies in order to mask both merchant and military vessels from Hitler’s fleet of marauding submarines. The Allies endured horrendous shipping losses in the Atlantic. 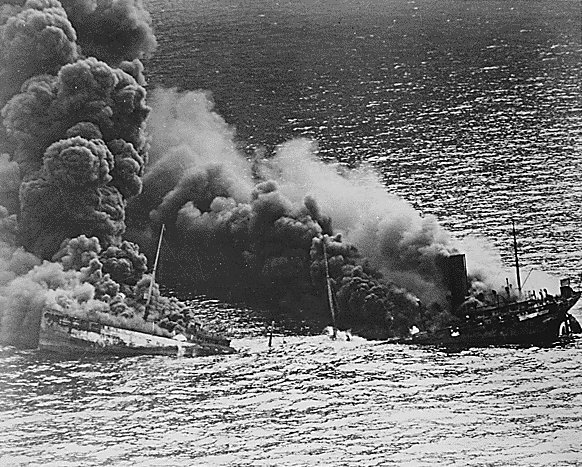 120 vessels were sunk in the month of March 1943 alone. Charles Berlitz and William Moore (‘The Philadelphia Experiment: Project Invisibility’ 1979) have sensationally recounted the peculiar tale of Carlos Allende, who claimed to have witnessed an American destroyer named the USS Eldridge mysteriously disappear before his very eyes in the Philadelphia docks. Other eyewitness accounts speak of the ship momentarily materialising over two hundred miles away in the naval docklands of Norfolk in Virginia. The vessel then apparently reappeared at its original location a few moments later in a haze of green fog. Indeed, if Allende and eye-witness accounts are to be believed, the US military not only succeeded in ‘cloaking’ (or rendering invisible) an entire ship, but also managed to conduct a successful teleportation of an object through time and space; rather like the phenomenon to be encountered on the pages of a science fiction novel. 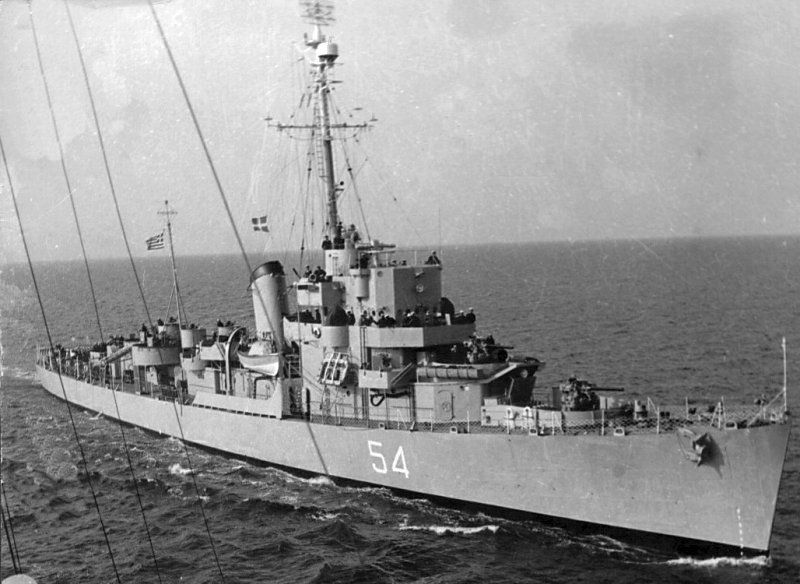 The USS Eldridge. Were the crew and the ship subjected to an experiment in space and time travel? Sceptics will naturally baulk at such a far-fetched tale, which even literary greats such as Jules Verne or HG Wells would struggle to incorporate within the plots of their most avant-garde offerings. However, there is evidence to suggest that scientists during this period were experimenting with Einstein’s ‘Unified Fields’ theorem which proposes that a particular combination of electromagnetic fields and gravitational forces can induce invisibility, teleportation and even time travel. The global conflict provided the stimulus for much scientific experimentation, and was undoubtedly a time of sensational technological advancement and innovation. By the culmination of hostilities in 1945, the nuclear age had dawned upon the citizens of the new world order, and the catastrophic effects of atomic warfare had become a horrific reality. So is it really so ridiculous to speculate if the US military, assisted by a selection of the finest scientific minds on the planet, were engaged in clandestine experiments which pushed the boundaries of time, space, and existence itself to previously unimaginable levels? The mysterious Carlos Allende. Did he witness a US destroyer disappear into thin air? The Philadelphia Experiment has now been very much immortalised within the annals of occult folklore, and Berlitz and Moore invite the reader to consider this most intriguing of tales. Their studies have since inspired numerous investigations into this mystery. Shady eye-witness accounts, disturbing tales of the disappearance of crew members who served on board the USS Eldridge, and vigorous accusations of a military cover-up perpetuate and enhance the legend. David Fox Magician can be contacted via his website: www.magician-midlands.co.uk. David Fox is available for parties, weddings, corporate events and promotions throughout the UK and beyond. A childhood fascination in the supernatural and the unexplained catalysed David’s pursuit of magic, illusion and the unusual.